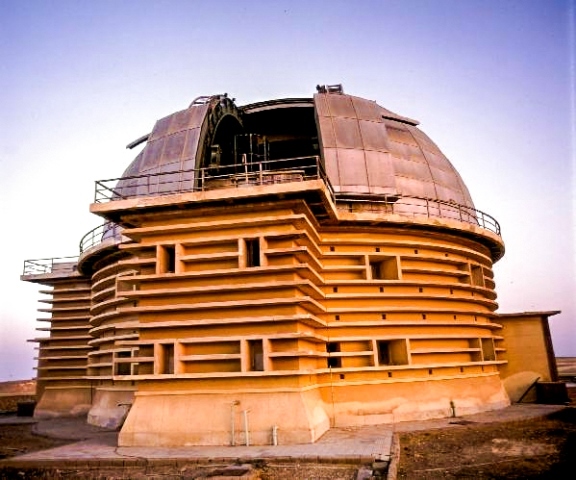 Kottamia astronomical observatory is the largest telescope in the Arab world, the Middle East and North Africa. A large number of scientists and researchers in the field of physics and astronomy use this telescope. It is unique in terms of its location. Instantiation such telescope nowadays would cost nearly half a billion pounds. This telescope is located approximately at 80 km from the center of the capital “Cairo” in the direction of the Suez city (Ain El Sokhna Road) over a mount rises 450 meters above sea level. 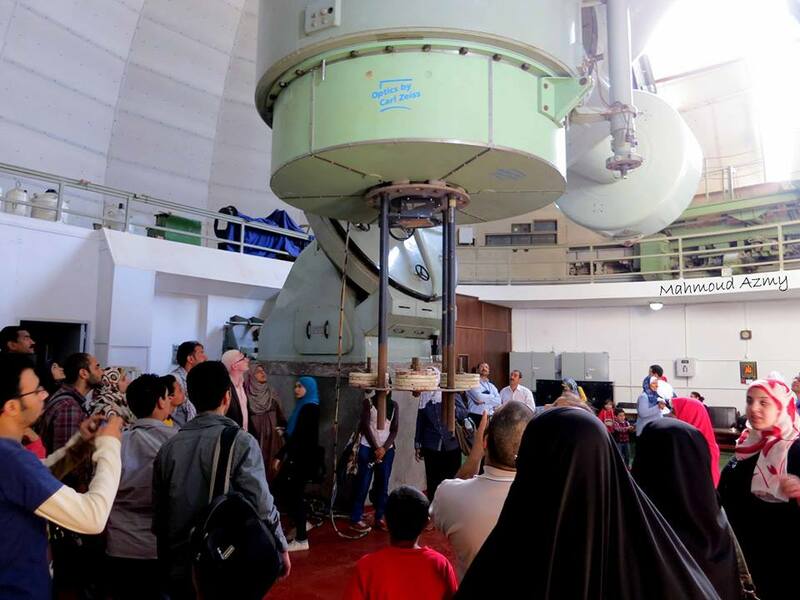 The Observatory established in 1964, as an extension of Helwan observatory, which was established in 1903, one of the oldest research institutes in Egypt and the Middle East. 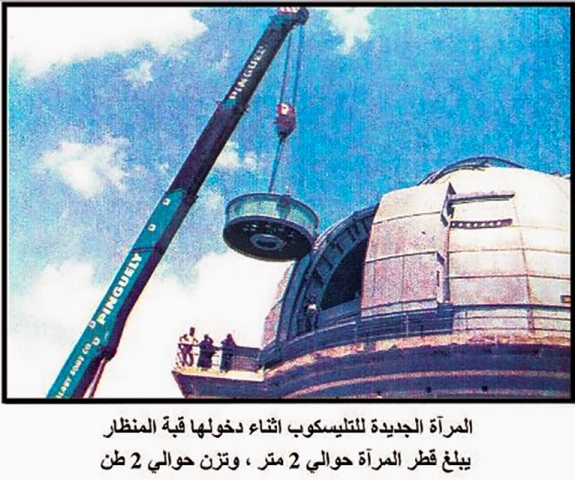 It must be noted here that Helwan Observatory has been nominated to be included in the World Heritage List in 2011, and that Kottamia telescope became one of the first centers of research excellence at the level of the Arab Republic of Egypt in 2013. Kottamia Observatory is regarded as a small scientific city. It contains the building of the Telescope with its large dome. The telescope’s body weighs more than 50 tons and a tube length of 9 meters. The diameter of the main mirror is about 74 inches, i.e. about 188 cm. The thickness of the mirror is almost 30 cm, and weighs about 2 tons. The building made of double walls; completely isolated from the desert environment surrounding it. 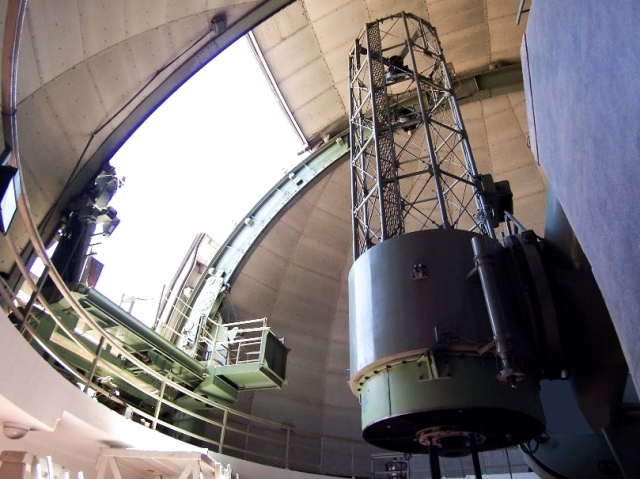 The Telescope’s Dome made of double walls of steel by the Austrian company “Voest”. The diameter of the dome is about 19 meters, and weighs more than 100 tons. It revolves around the building upon 26 rods of steel, and the bottom edges of the Telescope’s dome prevent leakage of dust and heat to the interior, and this design makes the temperature of the floor not exceed than 3oC even in the hot days. The building contains also a huge lift to move the main mirror in the silvering room in the basement. Also, at Kottamia site, there is a 14-inch Celestron Telescope, numbers of rooms equipped for the convenience of Observers, a plant to generate electricity power (Diesel generators) to run this amount of equipment and huge electric motors for the Telescope. There are also two water reservoirs, Garage, Kitchen, Engineering laboratories, and Workshops for electricity and mechanics. 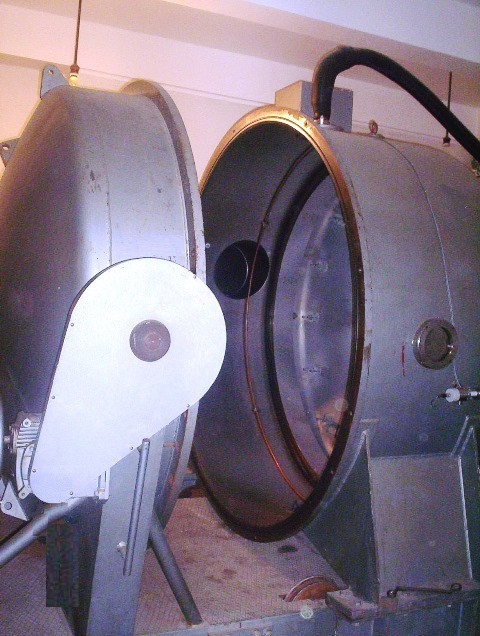 This Telescope is established by the English World Company “Grubb Parsons”. There are four brothers of the same type and same model in the world, the first in Australia, the second in Japan, the third in France, and the fourth in South Africa. In this context, Kottamia Telescope is the Northern eye of Astronomy in Africa. Given the unique location of Egypt, there are around 250 net clear nights throughout the year. It is reflected in the accuracy of the Observations and purity of images taken from Kottamia, which made it one of the famous Telescopes in the world at that time. One of the most important achievements made by Kottamia Observatory is its participation in the observations which took for the lunar surface to choose human landing sites on the moon in the late sixties. In addition, some projects, scientific theses and researches have been conducted on the accuracy of this Telescope as well. Recently, the Telescope has been developed and upgraded as the other Telescopes in the world. It was over the last twenty years, where the visual system has been changed, and the silvering operation has been updated to be automatic. The electrical circuits and mechanical have been updated too. The controlling system of the Telescope and its dome became automatically via computers. Also, there are some recent monitoring devices have been added, e.g. CCD Cameras, Spectrograph, etc.